Where’s Mark Bryers? With Waldo in AUS, of course. The children’s game, “Where’s Waldo?” was a big hit with my kids a few years back. 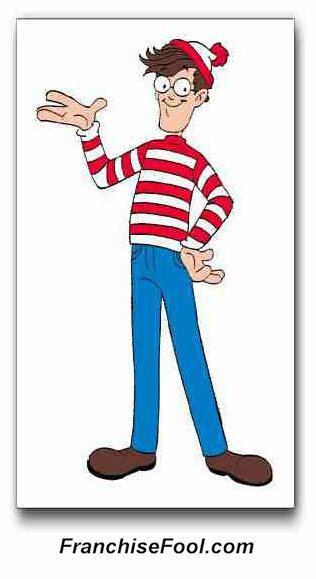 Here is a link to Waldo Wiki for some fun. Otherwise, it appears from New Zealand’s One NEWS that the Blue Chip founder is somewhere in Australia (Blue Chip hope sparked by frozen funds). Hundreds of Blue Chip investors across New Zealand have been given fresh hope that they might be able to recover millions of dollars worth of deposits for apartments they never wanted to buy. We’ll wait and see if any cash actually surfaces from freezing the lawyer’s escrow accounts for the 2,000 seniors (mostly) who have lost over $84-million. It does seem that Mr. Mark Bryers is keeping a pretty low profile these days. It appears that lawyers are having a hard time tracking him down in Australia to serve him with bankruptcy papers. And what does one of the 2,000 investors [$1-million lost as a condition of re-locating to Britain] have to say about Bryers’s moving to Australia?. “And now he’s off to Australia to do the same to people over there, I just – unbelievable,” says Blue Chip investor Michelle Hickman. Dale says he has got powerful evidence of a profit sharing agreement between Greenstone and Blue Chip which would have seen money flow to Mark Bryers when apartment projects like this were completed. Like I said before [Oz Alert: Shrewd businessmen immigrating], if you bump into Mr. Bryers or Bob Bangerter, let me know. This entry was posted on Thursday, September 4th, 2008 at 8:28 pm and is filed under Bankers, Sales agents. You can follow any responses to this entry through the RSS 2.0 feed. You can leave a response, or trackback from your own site.